Submit your Intent to Register form. For most students, this is due May 1 with your $200 advance tuition deposit (ATD). Sign up for IntroDUCKtion on DuckWeb. For freshmen, registration opens on May 1 at 8:00 a.m. Pacfic Time. Your Duck ID is your @uoregon.edu email address. This is the official way for the UO to communicate with you, and it allows you to access resources like campus Wi-Fi and the Canvas coursework software. Take the required math placement assessment and the optional second language placement assessment before arriving for IntroDUCKtion. This will help your advisor place you into classes that are at the right level. Incoming first-year undergraduate students live on campus at the University of Oregon. Learn more about the live-on requirement. We'll have it ready at IntroDUCKtion. To pick it up, you'll need to bring a government-issued ID (like a driver's license or passport). Provide the Office of Admissions with an official final high school transcript that includes your graduation date. If we don't receive your transcript before classes start, we will place a hold on your course registration. Download the apps you'll need. The UOregon App contains an interactive campus map, important campus contacts, and more. It's available to download on the iOS App Store and on Google Play. Canvas, our coursework software, is available to download on the iOS App Store and on Google Play. Guide is going to help you keep track of all that's going on in your daily college life. Complete the Social and Academic Life survey. All new students are expected to complete this survey about social and academic life at the UO. Your thoughts will be used to help improve this transition for future students. We will send the invitation to your @uoregon.edu email address about two weeks before your IntroDUCKtion session. This task should take no longer than 30 minutes. Be sure to obtain and submit a digital copy of your immunization records online. Log in with your Duck ID, click on the "Upload" tab, and upload your document. Copies of your Advanced Placement scores, if available. These will help your academic advisor in case the university hasn’t received your scores yet. Your UO transfer evaluation report if you have college credit from a previous institution. A reusable water bottle because, yes, it gets hot in the summer. Comfortable clothes for a variety of weather. It might rain, it might shine. For two-day sessions, don't forget toiletries and personal essentials. We’ll provide blankets, pillows and towels. If you're attending a two-day session, bring workout clothes for games & activities. You'll have an opportunity to enjoy our Student Recreation Center facilities. Are you a runner? Don't forget your running shoes! During IntroDUCKtion you can take a running tour with our Ambassadors. It's a one-of-a-kind Oregon experience. Spending money. You’ll be on your own for lunch on the second day of two-day sessions. Your questions. IntroDUCKtion is an opportunity to learn about your university from the people who know it best - professional staff, professors, and current students. Be ready to ask anything and everything. Be ready for honest answers. 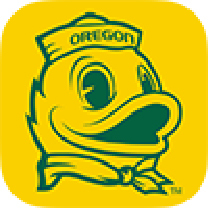 Download the UOregon app , available for free download on any smartphone or digital device.